When it comes to response cards, you need to determine how much information you need from your guests. Often this depends on the type of meal you’re serving (if you need them to choose an entree), or if you are having multiple events and need a headcount. If you want to keep things really simple, you can have an open response card with just the reply by date. This is a nice way to encourage your guests to write you a fun note prior to your nuptials. Accommodations - Please help us welcome you to New York City. Where do you plan to stay? You may also provide a space for guests to let you know of any dietary restrictions at the bottom of the card. 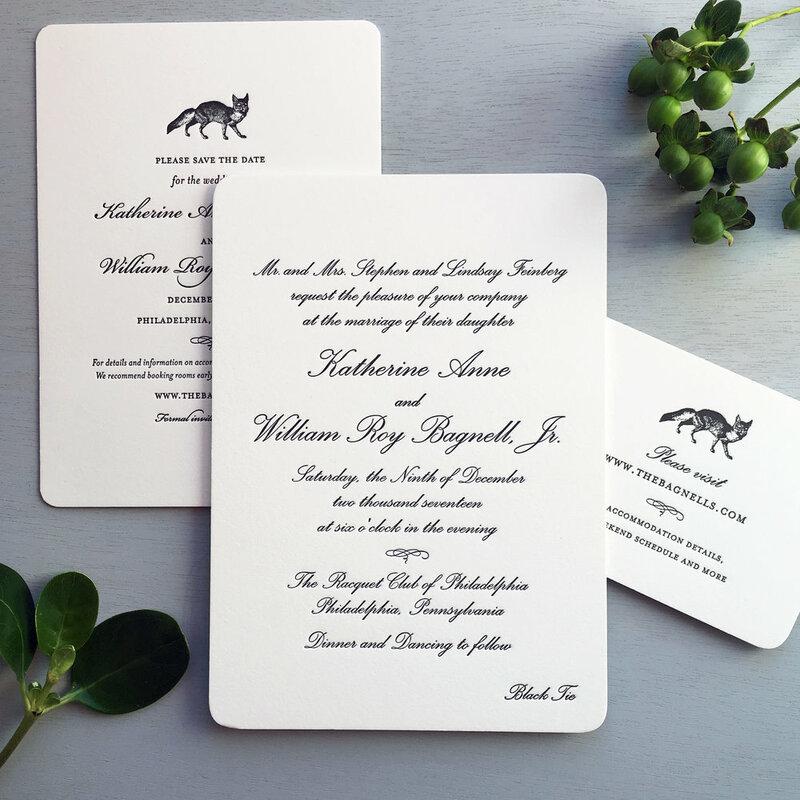 Wedding website cards are a great way to remind your guest of your website. We often print these as mini cards with a little bit of wording above the url, like this example. This card can have formal or more fun wording, and maybe an image to illustrate the style of your event. If you have a password, make sure to include that, also. Wording Guide - Who is Hosting? All suites are personal and need different wording to convey the feeling and details of the event. 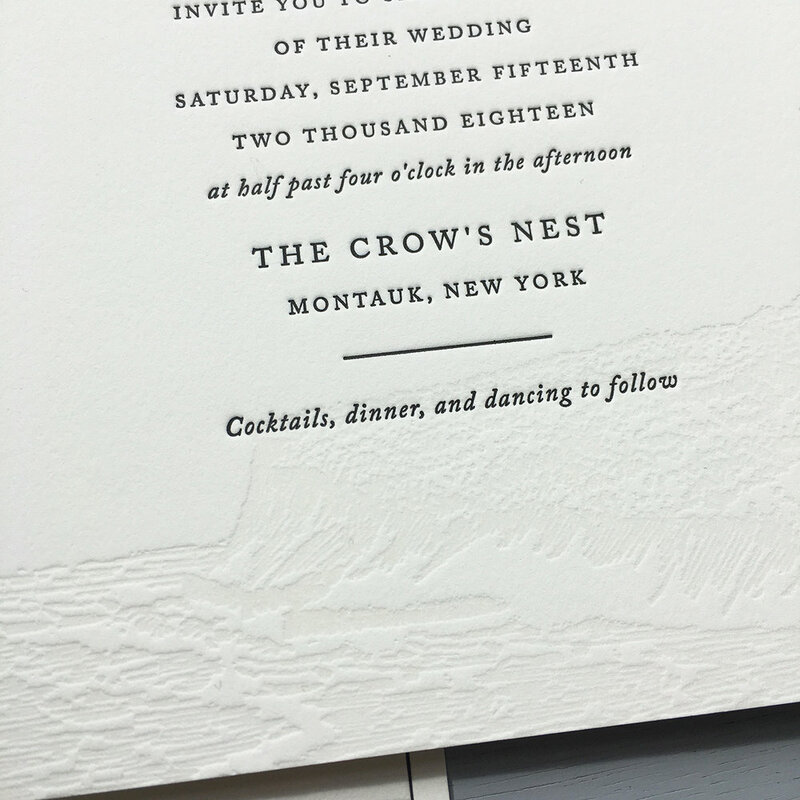 One of the most important details to note is the first line that indicates who is hosting the wedding. Tradition states that the parents of the bride would do the honors, but that is not always the case these days! Often, weddings are jointly hosted by the bride and groom’s parents, or even by the couple themselves. Below are a few ways to word the first lines of text on your card. Thank you to all of our 2018 clients! Thank you to all the families we worked with in 2018. 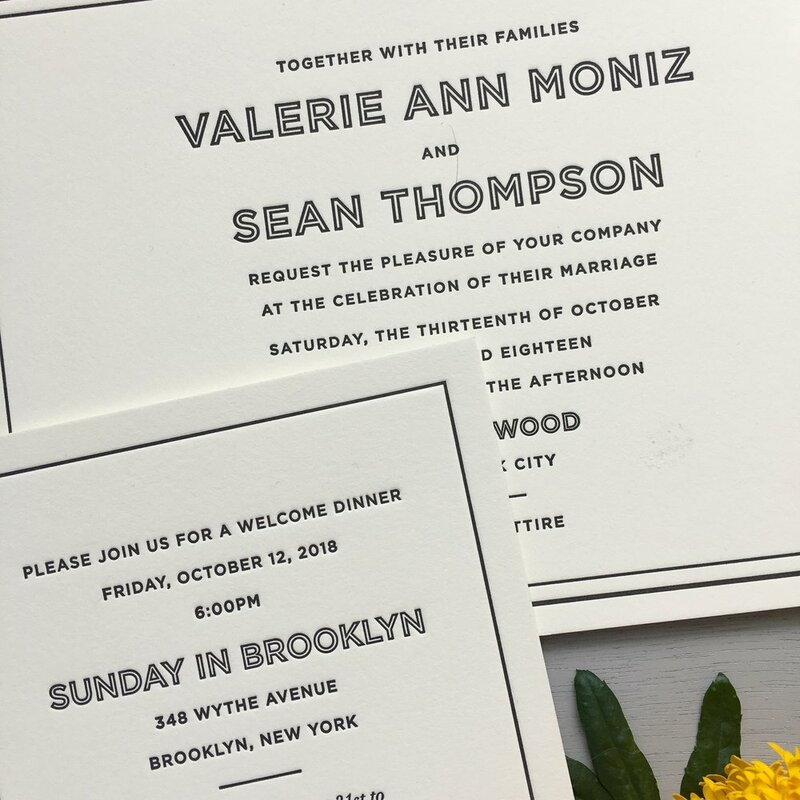 We are honored that you chose us to design and print your wedding stationery. We wish all of you Happy Holidays and a great new year! 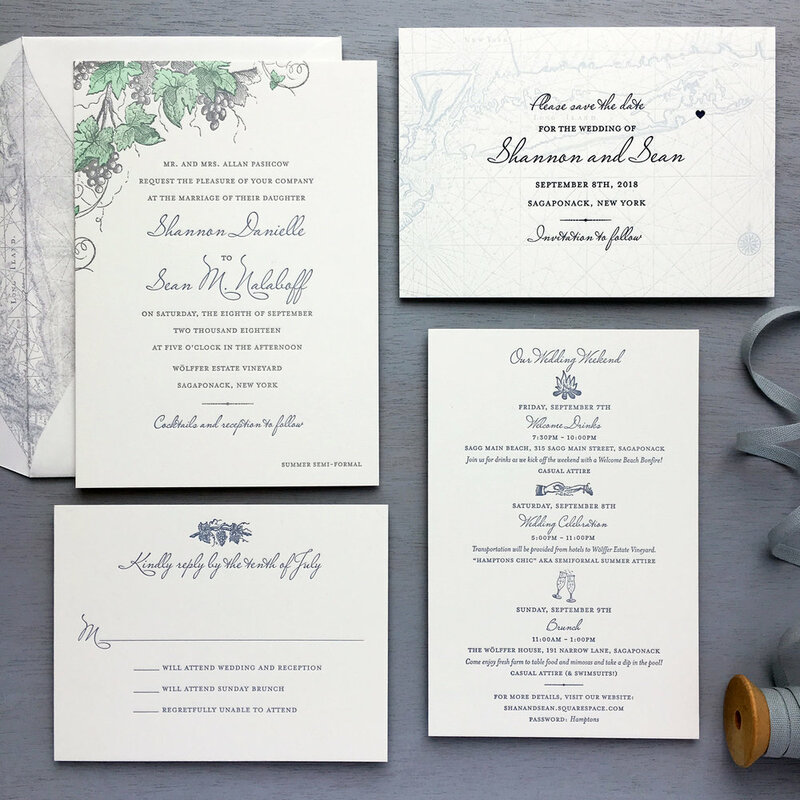 Our Roses design translates well to any number of pieces of stationery, like this wedding program. 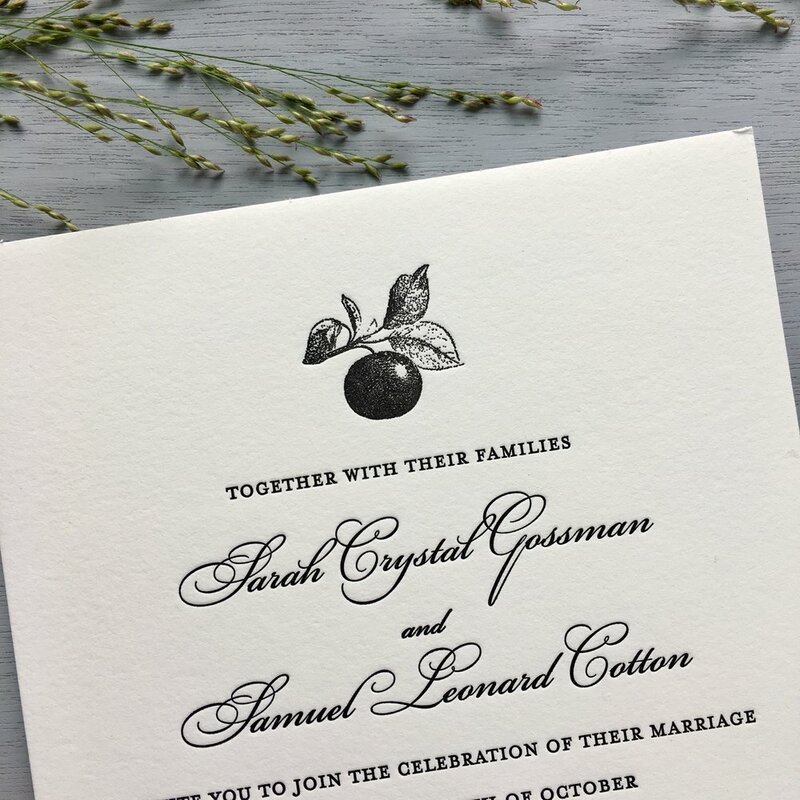 The script font, paired with these beautiful flowers is formal and romantic. 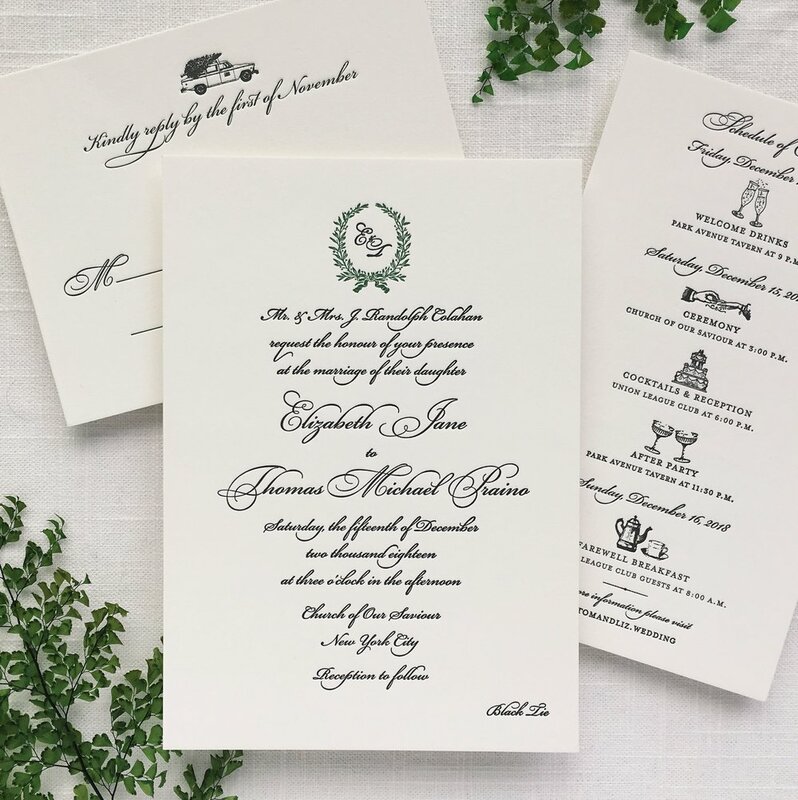 A wedding program is a great keepsake, and the perfect way to guide your guests through the ins and outs of your ceremony. 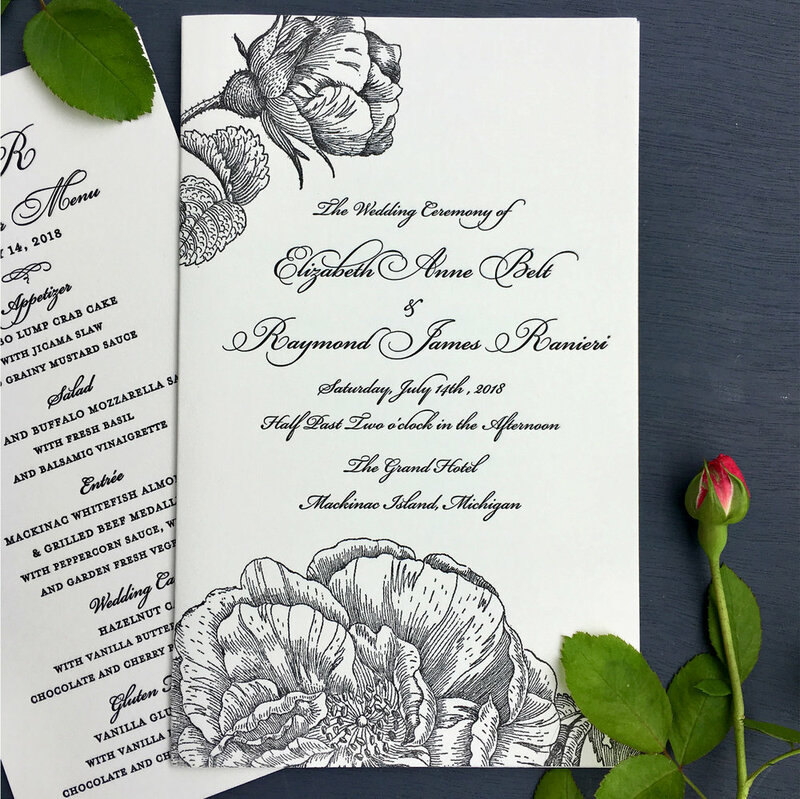 Here is a nice detail shot of our Roses wedding invitation design, printed in a pale tint and matte gold ink. The line work of the rose illustration is still clear, even in a subtle color. We love this warm color combination and it works for weddings at any time of the year. A big congratulations to Sarah and Sam on their recent wedding! They provided so much inspiration just from their venue alone - the family apple farm. 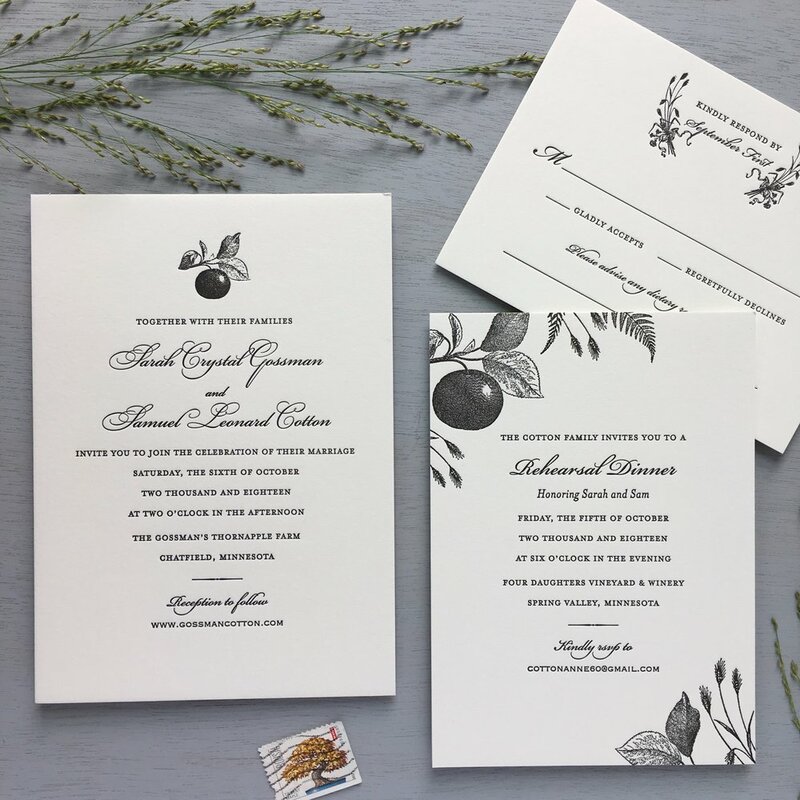 They wanted a classic design with some nods to the location, so we added some accents of apples, wheat and ferns for a fall harvest feeling. 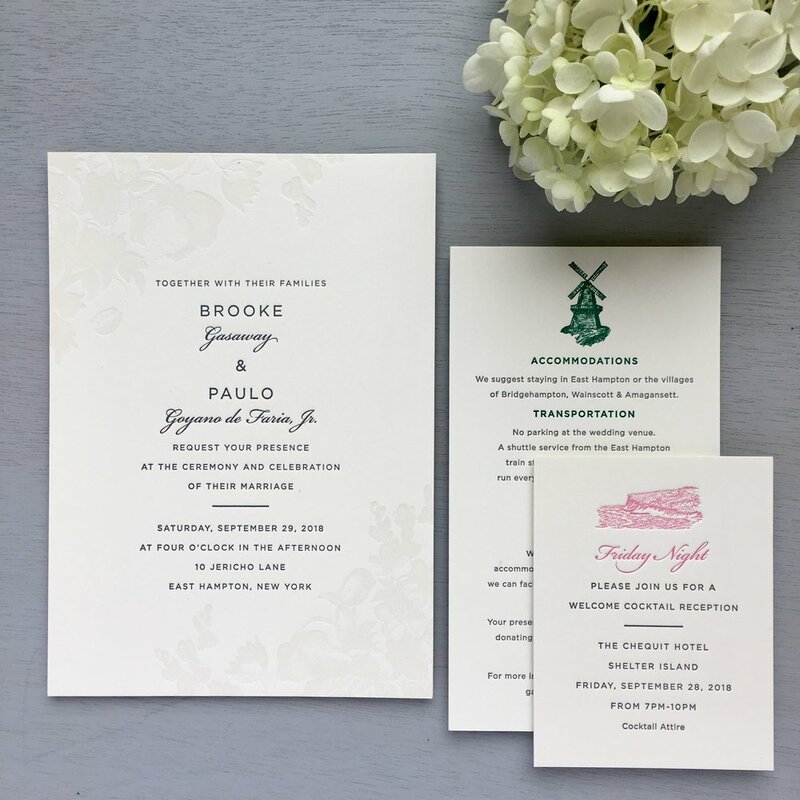 Congratulations to Brooke and Paulo on their Hamptons wedding this past weekend! We loved working on their design so much, that it inspired us to create a new template based on it. 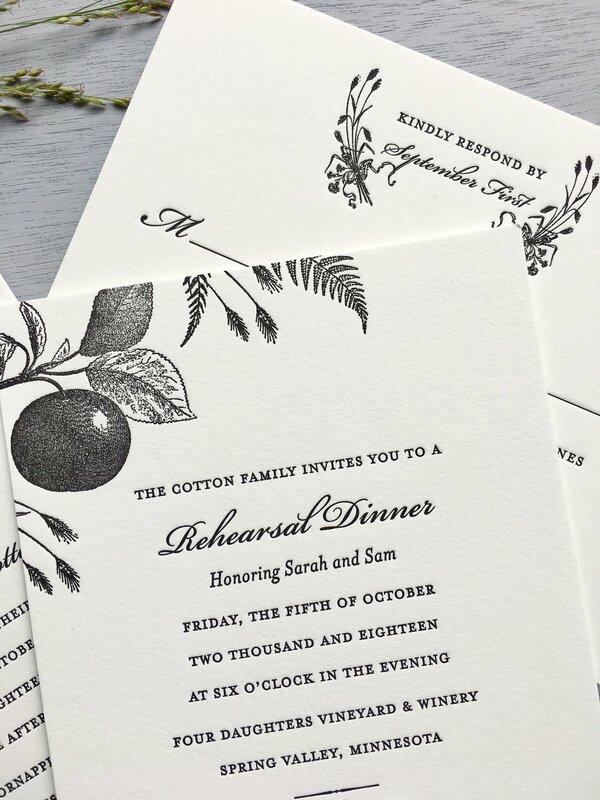 The tinted floral pattern on the invitation is subtle and allows the text to read clearly. 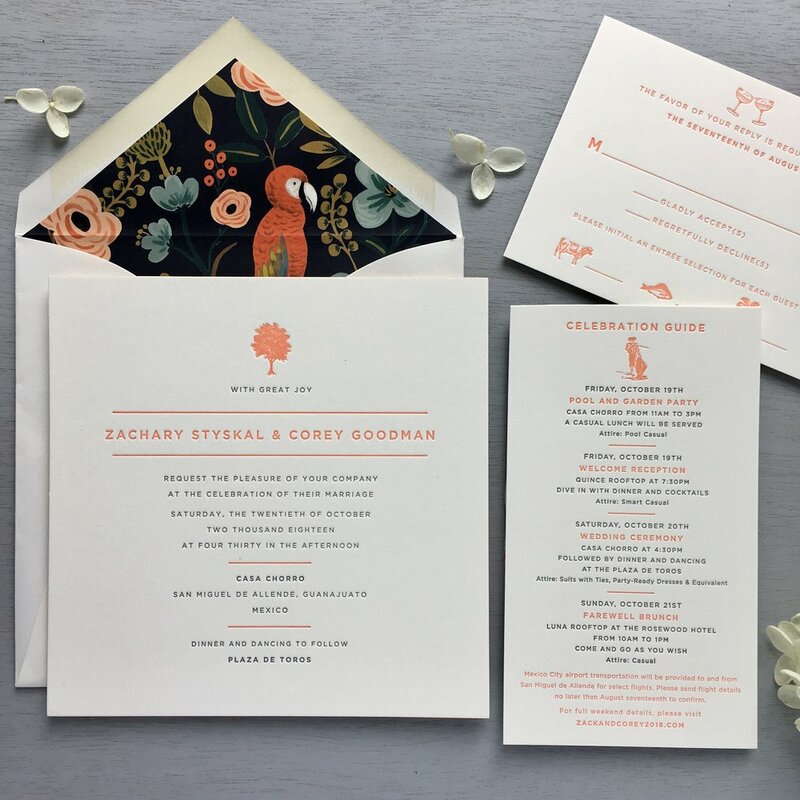 The Information card and Welcome Cocktails card both featured Hamptons inspired illustrations in complementary colors. 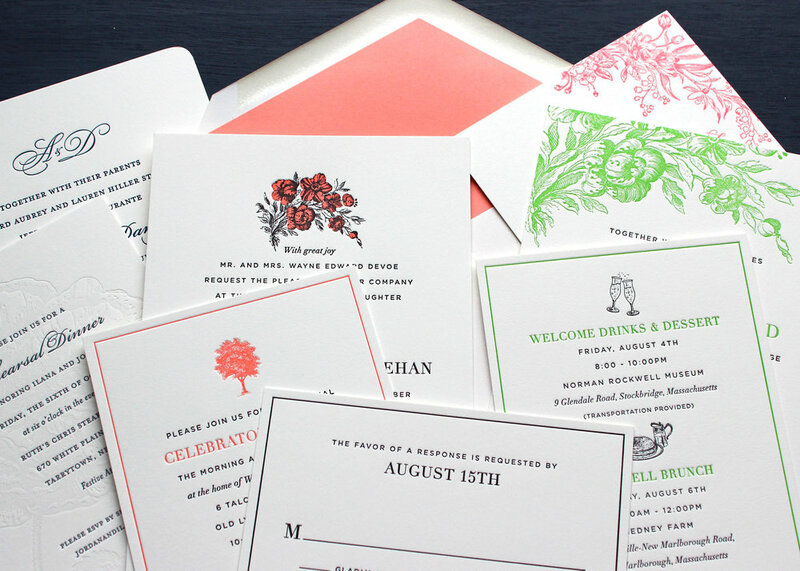 It is a beautiful and unique invitation suite. There’s something romantic about a bluff where the land meets the sea. 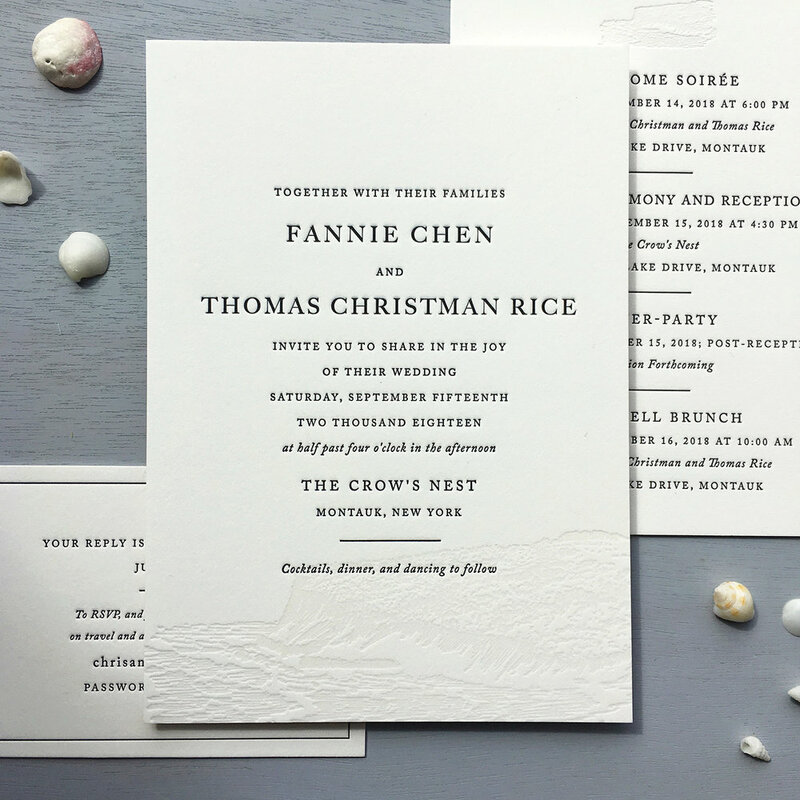 A pale image of the sea lends a dreamy elegance to this invitation for a wedding in Montauk, NY. 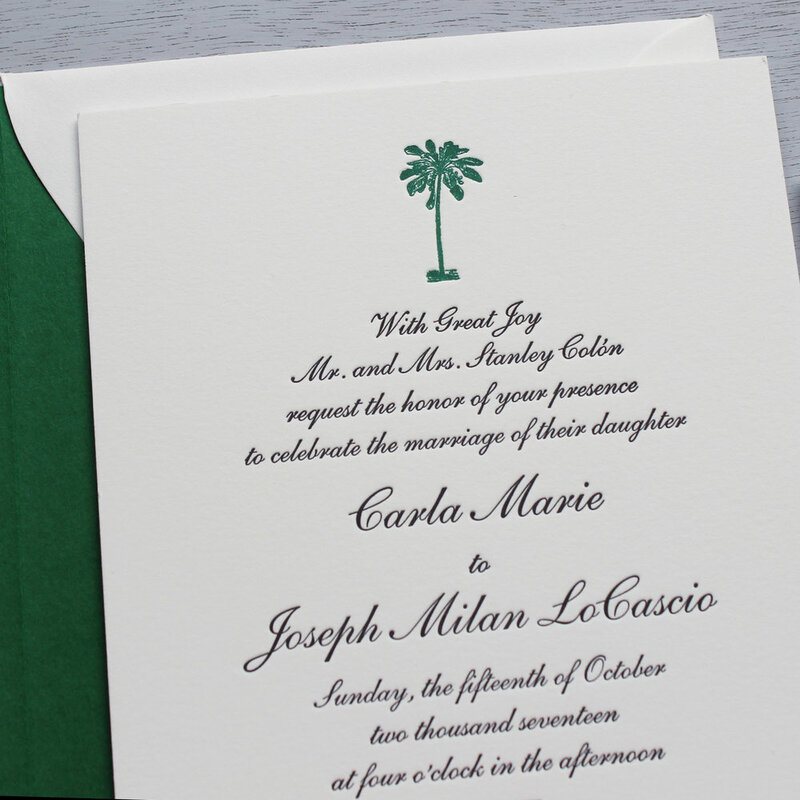 We love the classic elegance of an invitation printed with 1-color ink and using all script type. 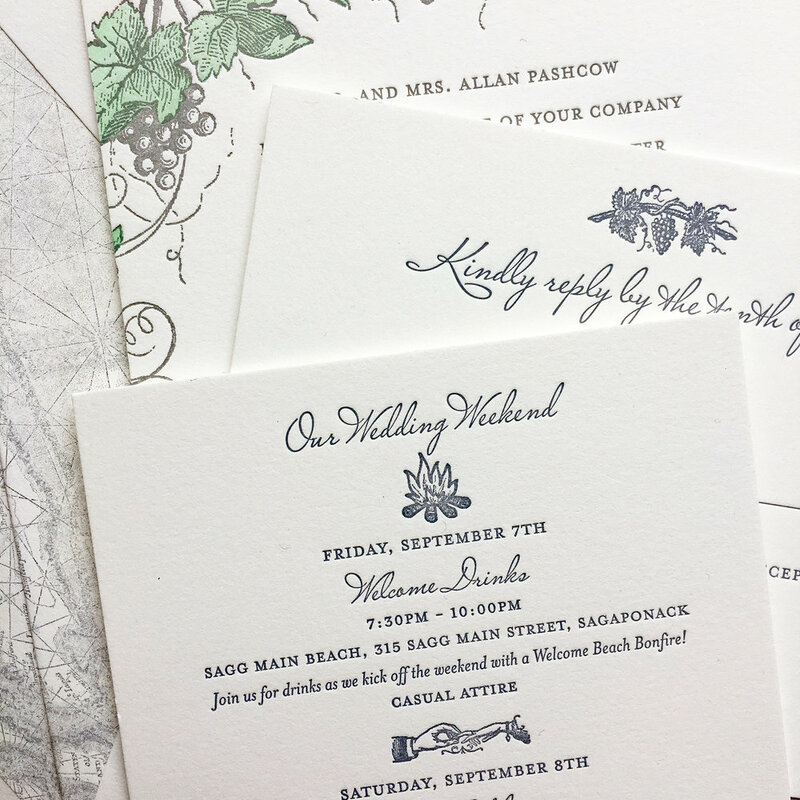 Here are some examples of invitations that we've designed and letterpress printed this year. Congratulations to Shannon & Sean who were married at the Wölffer Estate Vineyard in Sagaponack, NY this weekend! 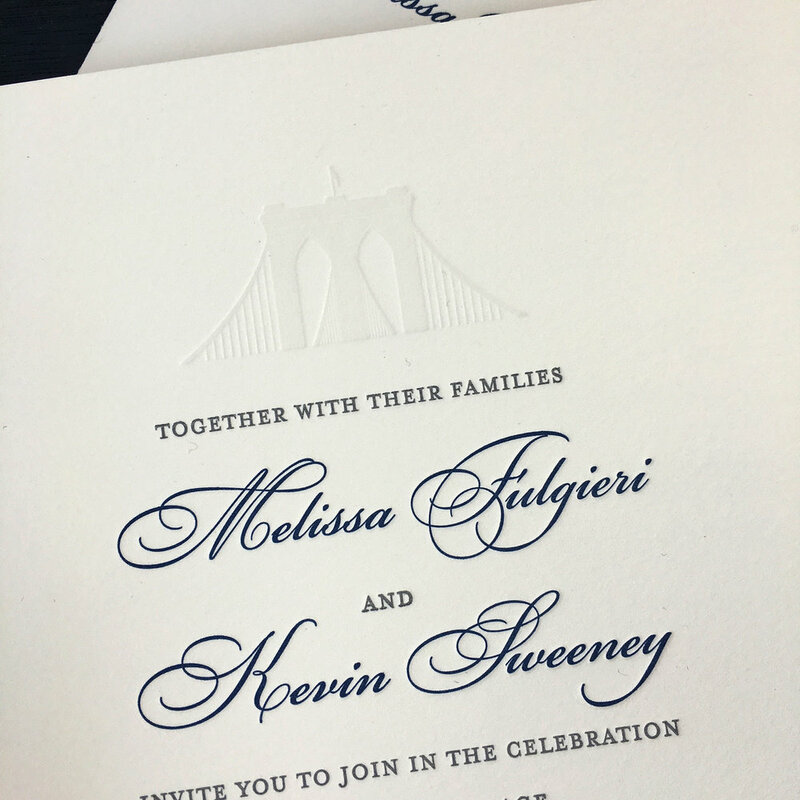 We started working with this family nearly a year ago to design Save the Date announcements for their wedding. The cards featured a vintage map of Long Island with a heart marking the celebration location. The invitations focused on the vineyard theme and we brought back the map as an envelope liner to tie in the save the date card design. We especially love the illustrated Wedding Weekend card with the bonfire image. This is always a great way to outline the activities planned for wedding guests!